The book and the app are updated with sound and music. Ledger drawings, a style of visual history, developed by Native warriors from the Northern and Southern Plains in the late 19th century. Networks of literacy through which Native families cemented their connections across time and distance. Help archive the wisdom of generations. Some of the best graphic novel writers and artists from Canada. For all its virtues, something was lost in translation. Poetry, novels, short stories, memoir and young adult: These 12 books by Canadian aboriginal women are amazing reads. Develops programs that helps individuals rediscover how to listen to each other and share first person stories. Provides a historical and contemporary context for Indigenous new media arts practice in Canada. Video storytells the legend of how Crawfish created the earth. Includes coloring pictures for the little ones! Makes the recording, sharing, and preserving of your stories available to anyone with a smartphone. A story-telling platform to learn, preserve, interact and share our diverse Native languages and cultures. Learn and share information about Residential School experiences that were federally funded and operated by religious organizations across Canada. Tim Johnson (Mohawk) shares ghost stories from his home community of Six Nations Reserve in Canada. Chris Morganroth, a Quileute elder, tells traditional stories geared towards kids and families. Zona tells the story of her great grandmother who was captured by the Blood Band of the Blackfeet Nation. Read the latest issue online for free! Native American Oral Traditional Evidence in American Courts: Reliable Evidence or Useless Myth? A rule of evidence to guide American courts in making informed decisions regarding Native American oral traditional evidence. Members of the Spoken Word Club articulate identities both modern and traditional. The Anishinabee storyteller tells how she became a keeper of spirit flutes and produced healing music on them. Newsletter from the Office of Hawaiian Affairs. She performed at the White House, for the King and Queen of Great Britain, and on stages across the United States. Shares the stories of our people. Perhaps the earliest and most important literary work of the Americas. Why the Owl Has a Spotted Coat, Legend of the Wren, The Birds and the Animals Play Ball, and more! Videos from their Digital Storytelling Workshop and more! An Inuit-owned publishing company that promotes and preserves stories of the Canadian Arctic. 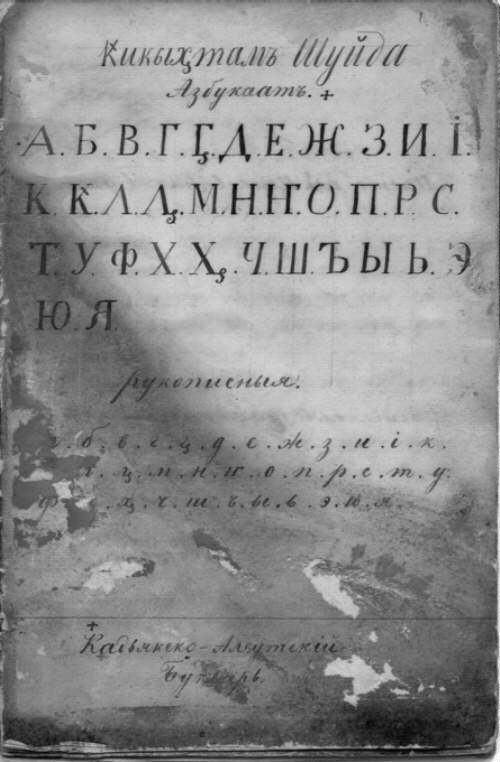 Written by students from Shishmaref Day School in 1951. Are the recipes still used today? Original literature by indigenous writers form North America and Hawaii. People across the world are turning to the ancient tradition of storytelling to produce positive changes on our planet. Celebrates and explores Asian Pacific/American Indian/Alaska Native stories through books, oral traditions, and art. Drawings and stories from students at Arsaniq School after meeting with community elder, Naala Nappaaluk. Listen to Abraham Ulrikab's diary, written during his time as part of a zoo exhibit in Germany during the 1880s. Listen to Public Radio interview with Kent Nerburn about his new book exploring American Indian Boarding Schools. A Rosebud Sioux tribal member who has written dozens of books. A toolkit for Bridging Differences and Creating Community. Interviews (1967 -1972) conducted with hundreds of Indians in Oklahoma regarding the histories and cultures of their respective (and MANY) nations and tribes. Serves individuals and organizations that use the power of storytelling in all its forms. www.archaeologychannel.org/ The River Has Many Stories. Online video: Conveys the value of cultural sites in Hells Canyon from the Native American perspective. The native experience in literature for children and young adults in K-12 classrooms. Watch an interview with author N. Scott Momaday about his award-winning classic. Collection of magazines from 1902-1962 about Native Americans and their evangelization by the Catholic Church. A free online coloring book. Discover the work of Native authors such as James Welch. Memories of a Yupiaq grandmother's teachings compared with science taught in Western schools. Share your story by submitting your memory of a place or landscape to which you feel connected. Examine and read some of the great books of the world." David Washington tells Hopi and Seminole Stories. Offers interviews, personal stories, and essays focused on youth development around the world. Hopi Elder Vernon Masayesva shares stories of the Hopi relations with water. This prayer book in Montagnais (Innu) was the first book published in an Indian language in Canada. A translation of the Bible into the Natick dialect. This is the first Bible in any language published in North America. 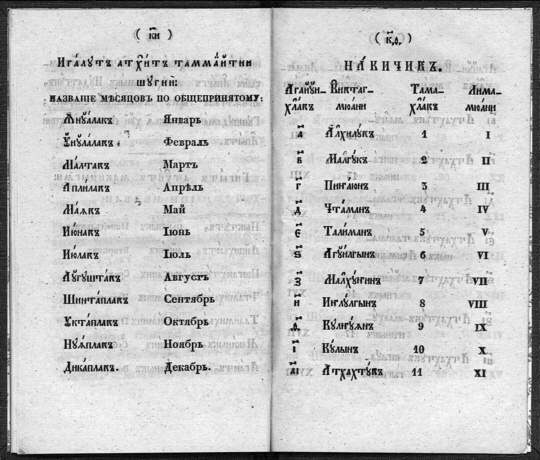 An 18th century bilingual attempt to teach Mohawk children the alphabet and Christian doctrine. A humorous and amazing comic strip by Chad Solomon of the Ojibway First Nation in Ontario! Offers fourteen audio versions from the collection Flint and Feather by E. Pauline Johnson (Tekahionwake,) Mohawk. A audio setting of a traditional Navajo poem recorded in 1995 in Glasgow,Scotland. The oral culture and history-keeping of the Nakota people, who made the Lone Dog winter count. Learn more about the graphic novel. A groundbreaking broadcast of elders. Listen to Rosella tell of the past traditions that live on in her kitchen today, and learn about the sacred herb, sweet grass. Listen to Hoskie tell the story of “The Five Sacred Herbs,” and learn more about Navajo beliefs, language and the sacred relationship to their lands. Find out how and where Tchin first learned his stories, the ways he enriches his own cultural knowledge, and the history of the Narragansett’s land reclamation. Native American stories are as varied as the trees on the Earth and yet have many common themes. Interview with N. Scott Momaday, who discusses Native American mythology in his Pulitzer Prize-winning book, "House Made of Dawn." Offerings on many older texts regarding American Indians. Native American in Basal Reading Texts: Are There Enough? The first complete Bible printed in America was translated into the Natick-Algonquin language called Massachusetts. A collection of folktales, poetry, and essays which have tree-related themes. An interesting perspective on what Blackfoot (NOT the Blackfeet Nation) may mean. A collection of Native American legends from the Monterey region of California in an online book. An online book and legend that explains why the coyote howls at night. Native American Indian Lore from several Tribes across Turtle Island. www.ilhawaii.net/ *How did we get here? An online collection of true and make believe stories about Jamaica's history and culture. Includes descriptions of collections of stories, proverbs, picture books, poetry, and other children's books on the Caribbean. An online Maori Book about Pia, a sacred food, and protecting it from the ghost. Hear the Ojibway legend, Why Birds go South in Winter, about how a lacross game resulted in the onset of winter. Helps people legally exchange eBook collections under the various new copyright laws. The cybercast of Marijo Moore, Eastern Cherokiee author and Native Village advisor, reading from her latest novel. Bringing the oral storytelling and written traditions of Indigenous Native literature to students atall educational levels. The historic lands and generous, amazing people of Italia give as good as they got. Louis Bird, Aboriginal scholar and storyteller shares samplings of Omushkegowak stories. A story about the very early Internet. It involves raising money over an internet newsgroup to gift a tribal elder a Buffalo Robe. Parts One and Two. Summer 2001. 38 pages lavishly illustrated. Describes a series of 4 sacred ceremonies involving the Sacred Pipe and a Sacred Sword being used in a Shinto World Ritual for peace. Features lost photos, notes, homework, love letters, audio and other things. Stories about Hawaiian history, people, culture, sovereignty and land; features an interactive discussion area. Listen to extraordinary stories from extraordinary lives. Stories from the tribe's chief, historian and two elders include the 1608 encounter with Captain John Smith . A story dat base searchable by author, title, format, and category. A world forum for the study of all the languages native to North, Central, and South America. Multicultural, online U.S. publication about democracy. Athabascan Rose High Bear tells the story of Gramma Sophie and her early twentieth century life along the Yukon and Kuskoquim Rivers of Alaska. Listen to traditional American Indian stories as told by author Joseph Bruchac. Free, full text, quality controlled scientific and scholarly journals. Mapuche, Atacameino legends and more at this animated website. Writings by the founder of The Osage Magazine, which later became The Oklahoma Magazine. A collection of writing by American Indians who were involved with the removal of Indigenous Nations from their traditional homelands in the nineteenth century. Nationally known speaker and writer who helped publicize the Poncas’ plight and to establish Standing Bear’s right to remain in his homeland. Antiquities of the Cherokee Indians. Three California Indians reflect ideas shared by their peers and give us a rare glimpse of a special time and place in American history. Writings by the granddaughter of John Ridge, the well-known leader of the Treaty Party of Cherokees. 253 published narratives by Americans and foreign visitors recounting their travels in the colonies and the United States. Over 2,000 articles, books, and other sources t useful in understanding scholarly electronic publishing efforts on the Internet. A monthly newsletter distributed in over 150 countries. A full text online collection of children's books. Intellectual property concepts and exercises to help identify and classify types of knowledge, cultural aspects, and community goals related to specific knowledge claims. handbook" designed "to be useful for all writers, from inexperienced to advanced." The Electronic Magazine of Multicultural Education has articles, children's books, websites and videos., and more. The ultimate website for life after high school. Encompasses essays, articles and book excerpts about the world as seen through Native eyes by primarily Native authors. An effort to share the Scriptures in the Cherokee language in an accessible digital format. Enjoy monthly selections from indigenous youth writers around the world. A listing of ethnic and special audience newspapers produced in Washington State, Oregon, Montana, Idaho, Alaska , British Columbia and the Yukon. Publishing, Producing and Promoting American Indian Languages and Cultures. Thousands of children's books from 100 different cultures available for free to kids around the world. Important and interesting books published abroad that an American public may have "overlooked." From the Library of Congress. The Blackfeet are made up of three tribes; the Siksika, the Blood, and the Piikani (later corrupted to Piegan. Electronic versions of hundreds of the "best public domain books, available in easy to read format. "D" is for deer, "M" is for moose and "Y" is for yellow-bellied marmot. "Aboriginal Planet" monthly online magazine, reports on Canadian aboriginal events around the world. Traditional Tales, sacred stories, and personal narratives. Henry David Thoreau wrote "Civil Disobedience" Its themes" have been cited by the world's most revered peace advocates including Gandhi and Martin Luther King Jr. Emphasizing the writings of American Indian and Alaska Native writers before World War II. This site "preserves the recollections of Hawaii's people through oral interviews and oral history transcripts. Brings the works of Native poets and writers of fiction and other prose to readers world wide. A continuing dialogue to meet the needs of Native peoples. Audio profiles of Native Americans and Native Hawaiians. Written by a Chilean-Canadian female not readily accepted as a Hispanic because of her fair skin color. Poems about Navajo and Northwest Coast weaving. Poems about sculpture, sea mammals, and baskets. Hear sound clips from Native Storytellers. Full text books and e-texts online about or by Native Americans. Includes "Indian Boyhood" and stories by Zitkala-Sha. Over a dozen stories for you to enjoy. the question, "What makes something funny to you?" A fascinating look at the influences of early books in the making of America. "Native Americans and Library Services"
Worldwide directory of links to magazines and newspapers with online access (a mix of free and fee-based). The books listed are intended to provide accurate points of reference. Also a list of "Not recommended" authors. This site was conceived with a very particular aim: to make the writing of modern Native American authors, particularly the poets, both more visible and more widely available. Information on Kegedonce Press, new releases, author profiles, event information, and more. The legend of the first totem pole. Read and listen to this story in English or the Haida Language. Some who have shared their traditions at National Museum of American Indian, United Nations, and other highly respected institutions. Who Will Sing for Us? A quarterly magazine containing articles and stories, both traditional and contemporary issues primarily written by American Indian authors. From the Library of Congress, this collection presents 163 Sunday school books published in America between 1815 and 1865. Muscogee Nation's young people, grades 1-12: this is for you! www.okit.com/arts/2000/marapr/posey.htm Diaries, poems, and overviews by Native American women. Cartoons from Bob Freeman in American Indian Review.